“Honor the LORD with thy substance, and with the firstfruits of all thine increase: So shall thy barns be filled with plenty, and thy presses shall burst out with new wine” (Proverbs 3:9, 10). After his awesome experience of the vision of the ladder reaching into heaven as he fled for his life from his brother Esau, Jacob was so moved by it that he dedicated the stone on which his head rested that night to the Lord as a memorial. He said, “And this stone, which I have set for a pillar, shall be God’s house: and of all that thou shalt give me I will surely give the tenth unto thee” (Genesis 28:22). Notice that the pledge was all inclusive—“all” that the Lord would give him, would be subject to the tenth-rule. That would be God’s part. We have a tendency to consider only financial resources as subject to the tenth-rule of tithes, but Jacob took it further and included everything that God would give him. Sometimes it is easier to give our money that it is to give ourselves. But, guess what! “Ourselves” is exactly what God wants. When He has us, He has control over all we have and all we are. Probably next in line after how we handle our finances as good stewards is the stewardship of our time. How precious it is! Like a stubborn two-year-old, we proclaim our time is our own, and we will do what we choose with it—and often do just that. It’s a busy world we live in, and the allocation of time to life’s demands can be stressful and daunting. At times, just surviving can be a major problem. But, you know, there are still twenty-four hours in a day as always has been. I look back in wonder and amazement at how my parents managed all they did and still spend so much time in the Lord’s work. To begin with, there were five children, and the youngest ones came as a “pair.” We had a family business where both parents worked. As the oldest, I did some babysitting, and we had hired help sometimes at home, but my parents were just an arm’s reach away. Our lives really revolved around our church. Both parents held church positions and were both very involved and active in the church and community. I recall that my mother was always available and present at the birth of neighbors' babies when doctors made house calls and delivered babies at home. We hosted state and national visiting ministers and church officials and evangelists. Jimmy Dickens’ “Sleeping at the Foot of the Bed” was applicable in our home to make bedroom for visitors, except it was a featherbed on the floor while a minister and/or his family slept in our beds. It just seemed to be the right thing to do. In fact, it was fun! We still had time for long Sunday afternoon drives with a picnic basket (and watermelon in season) and always time to chat with the neighbors and help out where needed. I played an instrument in my high school band, and Daddy drove me and my friends to the basketball games and stayed to watch until they was over. You see, when we give our priority time to God, He just makes the rest of the time—like our money—expand and go farther. Jesus set the example for us: He didn’t come to be ministered to, but to minister. God is looking for those who can be rich without being greedy or selfish, giving him glory for their success. He is looking for the poor who can be useful citizens in His Kingdom without being anxious and covetous of the more fortunate. We are all endowed with talents and abilities that God intended for his purposes. It isn’t difficult to know what they are. God instills desire and puts opportunity before us, and we choose whether to use them in selfish, sinful ways or for the glory of God to be multiplied and honed to perfection for the Kingdom’s work. Inspired preaching, teaching, writing, musical and other talents and abilities do not come verbatim. We are given a means of conveyance, our own vocabulary, style and emphasis to express the inspiration. We operate within our own “vehicle” to express what God has inspired us with, but the message is the same and in agreement with God’s Word when He is the source. The message our various talents present will agree with others inspired by the same Holy Spirit. It is our responsibility to “study to show ourselves approved” in the knowledge of the Truth. While our styles vary and our expertise may be at different levels, the essence of the message will always point toward Jesus Christ and honor God. What a great responsibility teachers (and parents) have as mentors! They hold the destiny of many of their students in their hands by their words and their actions. Teachers can browbeat the ones who don’t progress as well or as fast as they think they should, creating self-defeating adults; and give their attention to the brightest, fastest learners. Or they can look deeply into the ones struggling and find something there for them to aim toward, some latent talent that no one has yet noticed. They can balance their time and efforts toward all in their care and watch them develop into talented human beings. God doesn’t make mistakes! We are all endowed with certain specialties and talents, and the wise instructor can harvest that for success in the lives of those in their watch. This is true in the educational system, the home, in business and in the church as well. May we never set aside any child/person as un-teachable! May none be lost in the shuffle because they are shy or less than perfect or even difficult. “Suffer the little children” to come to Jesus! Of such is His kingdom. May our mentors be role models who disciple those in their charge by example to become like them. A 'student' will echo what he is taught and will eventually become what his lessons instill in him. Isn’t that what the Bible teaches? We are disciples of Christ, and we become more like Him as we learn how He is and acquire His likeness. “Till we all come in the unity of the faith, and of the knowledge of the Son of God, unto a perfect [mature] man, unto the measure of the stature of the fullness of Christ” (Ephesians 4:13). Whatever our resources may be, we are responsible to be diligent stewards and use them to honor God, promoting the Gospel. There is no such thing as insignificance in God’s family. Every member is important and has a place and responsibility to achieve their goals to the best of their ability in the Kingdom. We can’t judge who is greater or lesser; that’s God’s job, not ours. So we have mutual respect and support as we work together for the Lord, not vying for pre-eminence or worrying about who gets the credit. God’s storehouse of blessings has a lock, but we have the key! The keyhole is in the shape of obedience. The obedience-shaped key unlocks unrestricted blessings beyond our imagination. God may have to enlarge our ability to receive when we are bestowed with His abundance. It’s a paradox, but true: We give to receive; we divide to add blessings to our lives. We empty ourselves in order to be filled with God. If our pockets are full of ourselves, there is no room for anyone else, and we will miss the wonderful things God wants to dispense to us with His “shovel” of Grace. "For as the rain cometh down, and the snow from heaven and returned not thither, but watereth the earth, and maketh it bring forth and bud that it may give seed to the sower and bread to the eater" [emphasis mine] (Isaiah 55:10). Did you notice that? Seed is given to the one who sows it, not to the one who hoards it. Bread is given to the one who utilizes it, not to the one who stashes it away. Surely that must tell us that we are to be good stewards of whatever God endows us wih! He is the supplier; we are His stewards; let us be faithful in everything and look toward the promised rewards. Our worship includes our service as well as our tithes, gifts and offerings. We must not give God the leftovers, like table scraps after we have filled ourselves with the choice helpings. He gave us the best He had. How could we do less than our best for Him? God owns the cattle on a thousand hills. He said the silver and gold were His. Because they are His and I am His heir, they are mine! If we honor God, put Him first in all things, He will release blessings that we will be unable to receive until He increases our capacity. God doesn’t want us to “just make it in”; He wants us to march into heaven victoriously, expectantly. He has rewards for those who are wise stewards and teach others to reach and reach until their full potential is abundant and overflowing. Don’t limit God in your life; be a good steward yourself and teacher others by example. The results will live on into eternity! "...a man's life consisteth not in the abundance of the things which he possesseth" (Luke 12:16). Read the parable of "a certain rich man" (Luke 12:16-20). 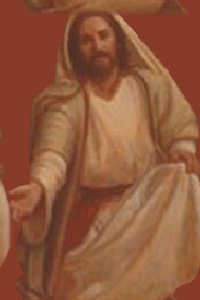 Jesus concluded the story with this: "So is he that layeth up treasure for himself, and is not rich toward God" (v 21). Jesus desires that we have a well balanced life in all areas. This will be effective in understanding God's view and release blessings that He wants to pour into our lives. Let us use our 's to open the door of blessings for us with an overflow to bless others! "Thou who hast given me so much give me one more thing--a grateful heart."